Since she was two, Theresa Cowan has lived and breathed art. 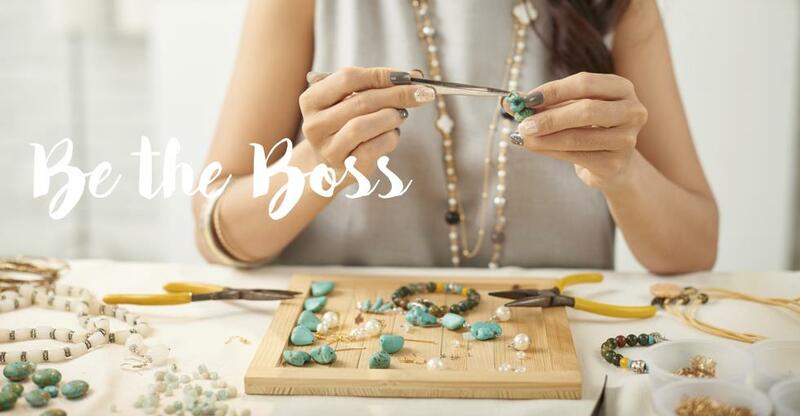 From drawing on the walls of her family home to owning and running her own jewelry store, Cowan has found the perfect way to transform her passion into a successful entrepreneurial venture. Cowan started running her business, Mineralogy, part-time seven years ago and opened a retail storefront full-time four years later. We spoke with Cowan about running her business, the challenges of being an owner, and her love of art. While in her last semester of art school, Cowan started Mineralogy, a handmade Chicago-based jewelry line. It is specialized in unique non–traditional engagement rings and the creation of one-of-a-kind statement jewelry made with natural stones. Cowan explained that she thinks of her jewelry as more than just an accessory, but a piece of art. Originally just a hobby for artistic expression, Cowan created jewelry on the side while working as a bartender at a fine dining restaurant in Chicago. With financial security and a flexible working schedule, Cowan stayed at the job for eight years before committing to Mineralogy full time. By the tail end of her bartending career, Mineralogy’s passionate and supportive client base, combined with Cowan’s hard work, transformed her side hustle into a full-scale business. Reflecting on her decision to leave the restaurant, she said, “I honestly wondered why I waited so long!”. Cowan explained that opening her store and supporting its growth was the biggest challenge in running Mineralogy. However, it’s also been one of her favorite parts of running the business. “The best part about owning and running a business is knowing that you can craft the kind of experience you would like your customers to have. I love that not only can I create the jewelry, but I am able to create the space that the jewelry lives in and provide this beautiful experience for our clients,” she said. Cowan has truly created a unique space for her products to live, with customers coming in for a curated selection, a minimalist aesthetic, vintage fixtures, and of course, Penny. “I’m able to bring my dog Penny to work with me every day which is a bonus for both of us. She has her own special charm that she brings to the shop and we have many customers that come to visit her,” Cowan explained. With her business in full swing, Cowan described the difficulty of leading, hiring, and adjusting to a growing business. “The most difficult parts are the changes that you experience through growth… hiring and developing a team, learning how to let go a bit so that you can have a life outside of work, finding the time to not only do the things that need to be done but to also work on the things that will move your business forward,” she explained. After years of running her business independently, hiring help took Cowan longer than she would recommend. “The only thing I would have done differently is hired help sooner! Once I let go of the concept that I had to answer each email, help every customer, and make each piece of jewelry by myself, I gave myself the freedom to dream bigger and create more,” she said. Having a supportive team behind her has allowed Cowan to step back and work on the business holistically. It’s also allowed her to empower other people’s love of art, as much as Mineralogy empowered herself. We appreciated the opportunity to talk with Theresa Cowan, owner and operator of Mineralogy in Chicago, Illinois. If you’re interested in more insights on buying, selling, or running a retail store, check out our other industry articles here. And, if you’re curious whether there are any store owning opportunities near you, check out our latest listings at BusinessesForSale.com.